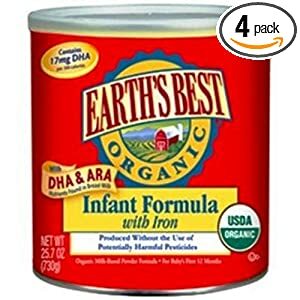 Save 53% on Earth's Best Organic Baby Formula, Free Shipping! Save 53% on Earth’s Best Organic Baby Formula, Free Shipping! If you're looking for a pretty incredible deal on organic infant formula, this Earth's Best baby formula deal is still alive! Don't forget to use Amazon promo code EBFORM33 and order with Subscribe & Save to get the best possible baby bargain!